or organization from Novex Insurance. Group insurance provides consumers with the opportunity to take advantage of exclusive preferred group insurance rates for being a member of an association, union, or organization. 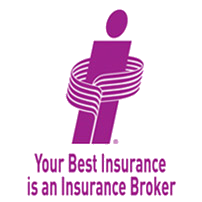 Founded in 1989, Novex Insurance Company specializes in group insurance and is a subsidiary of Intact Insurance. Originally, the company specialized in business insurance products for fire, marine, and casualty coverage. For more than a decade, they have offered high quality group home and auto insurance coverage through Intact to members of employee and association groups. Novex is a member of Intact Financial Corporation (formerly ING Canada, Inc.), a Canadian-owned and operated company, which is the largest provider of home, auto and business insurance in Canada. my home & auto : Combine your home and auto insurance coverage and save 15% on car insurance and 5% on home insurance. Plus, you will only have one policy and payment to manage. Responsible Driver Guarantee : Accidents happen! You won’t be penalized after your first at fault accident. Lifestyle and Leisure Insurance : Protecting your leisure equipment such as boats, RVs, motorcycles, mobile homes, cottages, trailers, horses, snowmobiles and ATVs, and even your gold tournament. my umbrella : Get additional personal liability coverage that extends beyond your current home and auto insurance coverage. Idea for homeowners, cottage, owners, and rental property owners. Protect your identity, get assistance, and get reimbursed for the costs associated with legal fees, lost wages, and restoring a lost identity. TravelWell : Travel with the peace of mind in knowing you are covered and have access to travel assistance. Choose from basic and all-inclusive travel insurance plans. 24/7 Claims Service Guarantee : File an insurance claim 24/7. You will be guaranteed to be connected with a claims representative within minutes of your call in emergency situations. Rely Network : Get faster repairs from reliable contractors and priority service. Ready to take advantage of the benefits of group insurance? Get a Novex group insurance quote through ThinkInsure. Our brokers are ready to assist you! Warehousing, Transportation & Logistics Insurance : Customized insurance packages for businesses in this sector. You will also be able to take advantage of my Driving Discount and save up to 25% off your car insurance premium.